Pharmaceutical Toxicology explains pre-clinical safety assessments of new drugs. Includes registration requirements and pharmacovigilance. Pharmaceutical Toxicology explains the methodology and requirements of pre-clinical safety assessments of new medicines. With the focus on medicinal drugs, the most important safety issues of drugs are covered. 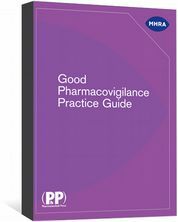 This includes registration requirements of new drugs and pharmacovigilance. 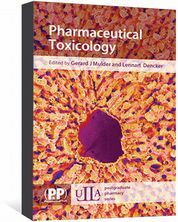 After a general introduction and a number of chapters on basic toxicological principles, organ toxicity of drugs is illustrated by chapters on toxicity in the liver, in the kidney, in the respiratory system and in the immune system. 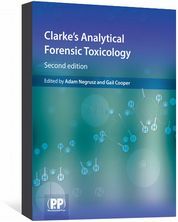 This book combines a broad treatment of the issues relevant for assessing the safety/efficacy balance of a new drug with information on the toxicological knowledge base and methodology. Toxicology studies are carried out on all drug substances to ensure safety. This is an introductory text for students at BSc, MSc and PhD levels, and will be an excellent companion to pharmacology textbooks. 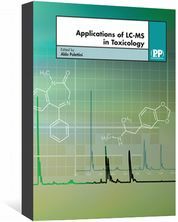 Practical, hands-on information on the application of LC-MS in the field of toxicology.